I hear from CEO’s that they want more women in senior positions. They know that having balance is good for business — and indeed many studies have found that companies with strong female representation at top management level, perform better, have a stronger culture and are more profitable than those without. McKinsey’s 2018 Delivering through Diversity report found that companies in the top quarter for gender diversity in their executive teams, are 21% more likely to have above average profits than companies in the bottom quarter. So both men and women know that diversity makes sense — and right now it’s a hot topic with the rise of the ‘#Me Too’ and ‘Time’s Up’ campaigns, as well as the start of Gender Pay Gap reporting in the UK. But what is the reality today? Is change really happening? How much do we have to do? Well, it’s not 50/50 yet. To date, in the UK, women make up 47% of the workforce, but only 24% are in senior management. In the FTSE 250, only 8% of board members are women*. We still have a way to go. So, WHY is there this disparity? 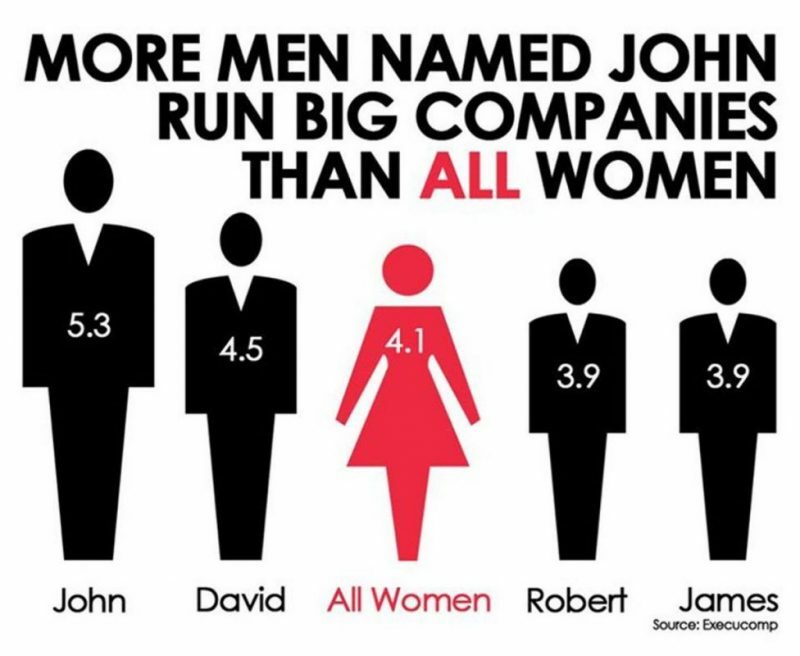 It’s not that women don’t want to be at the top — 50% of both men and women aspire to be on the board (McKinsey above). And, while there are barriers to women in leadership positions — such as unconscious bias, lack of role models and women managing childcare, in our experience, having coached dozens of female leaders, one of the main reasons is self-belief. It is about having confidence as women, that we can lead in our own way and not just like a man. Due to cultural and societal conditioning, we hold ourselves back. Rather than hitting a glass ceiling, we are dealing our own sticky floor. This is backed up by a study from DDI which found that confidence is one of the most significant leadership differences between the genders. 63% men and 49% women rate themselves effective as leaders, whereas, they found little difference in skills or competence. KPMG found that half of women aspire to be on the board, but 67% said they need to feel more confident in order to become a leader. Anne Franke, Chief Executive of the Chartered Management Institute, says. “The business case for greater gender diversity has only increased the imperative for transformation at the top. Over the past three years, the diversity dividend for large organisations has increased, with gender balance in executive teams seen as one of the top productivity drivers for the UK economy”. She believes it’s worth around £100 billion per year. This is a key issue for businesses and one that can’t be ignored. By putting it right at the top of the agenda, and building a pipeline of emerging female leaders, we can have more balance at the top. It won’t happen overnight but together we can do it! We are passionate about empowering women to believe in themselves as leaders. Find out about our leadership retreat for women on 25th September in Central London. * Cranfield Female FTSE Board Report 2017. Recent reports have quoted that over 25% of boards are now women — this figure includes non exec directors, who may only work a few days a year. When you look at just exec directors the figure falls to 7.7%. My sessions have been priceless – my confidence has gone from a 3 to an 8 and I feel like a different person in my professional and in my personal life. I can’t thank you enough! The most enriching, valuable day you could have in a supportive atmosphere.I left feeling hugely empowered. Everyone should do this. I would say that, in developing my people skills, these days are an invaluable source of support and learning. A huge source of motivation. The leadership sessions have been excellent. They were creative and fun which put everyone at ease. They provoked great conversation, were tailored to our individual needs and are genuinely outcome focussed. ….Sharon and Lucy have proved invaluable in helping 'Thorough Good' establish itself in a highly prized niche. They have helped us to generate, develop and pursue ideas that previously lacked the necessary oomph! Call us. We like listening. Sign up to stay in touch and be informed of future events.